Prathu's Food: 2016 - Passionate Cooking for Vegeterian Food. 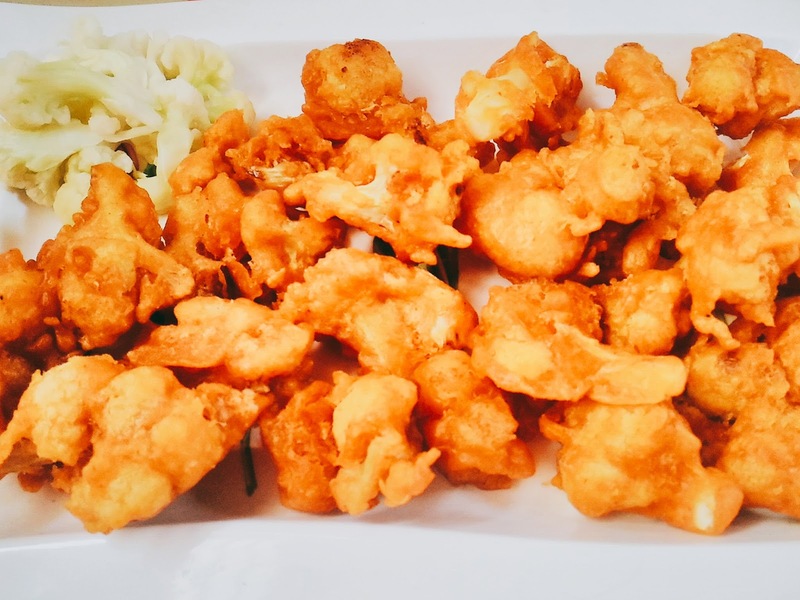 Gobi/cauliflower is favourite vegetable of all dat no one can hate any dish made with gobi. This time I was challenged by Amrita Iyer , who writes a fantastic blog The food samaritan for Shh Secretly Cooking and she gave me two ingredients oats, turmeric powder for diwali treat. Was thinking to do some sweet using oats and tried oats ladoo, but not too good. When I came to know that my hubby is having potluck lunch at office for diwali and my contribution is must then I have decided to do some starter and my hubby suggested me gobi 65. I just modified the recipe and got a new tasty recipe by using oats n turmeric and it was a hit, it took exactly 3 hours for whole process and the quantity is 5 kgs made out of 5 cauliflowers, it was my first experience to cook large amount of any dish. Heat frying pan with oil for deepfrying dip florets in batter/ mix all florets into batter n nesure dat they are evenly coated with batter and slowly drop into hot oil and deep fry until golden brown.